Dancing on the edge of folk and pop, there’s a revolution: emma’s revolution. “Bold, profound, moving, hilarious and transformative.” The sound of passion in “deftly-turned phrases,” songs imbued with hope, warmth and the “power and drive” to turn tears into laughter, cynicism into action. “Fervent and heartfelt” ~The New York Times. 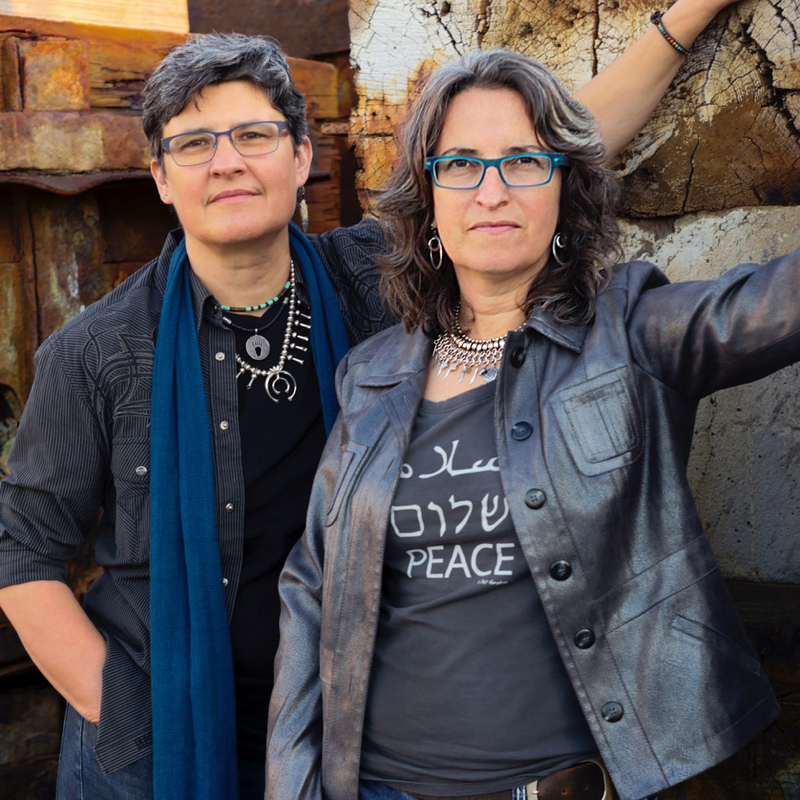 Emma’s Revolution is the dynamic, award-winning activist duo of Pat Humphries & Sandy O, whose songs have been sung for the Dalai Lama, praised by Pete Seeger, and covered by Holly Near. Emma’s Revolution has shared the stage with Pete Seeger, Holly Near, Rev Jesse Jackson, Amy Goodman, Indigo Girls, Joan Baez, Rev William Barber and Bill McKibben and have performed at concerts, peace & justice events and mass demonstrations across the country, including the Women’s March Oakland, the Poor People’s Campaign National Demonstration in Washington DC and the #FamiliesBelongTogether Day of Action in San Francisco.